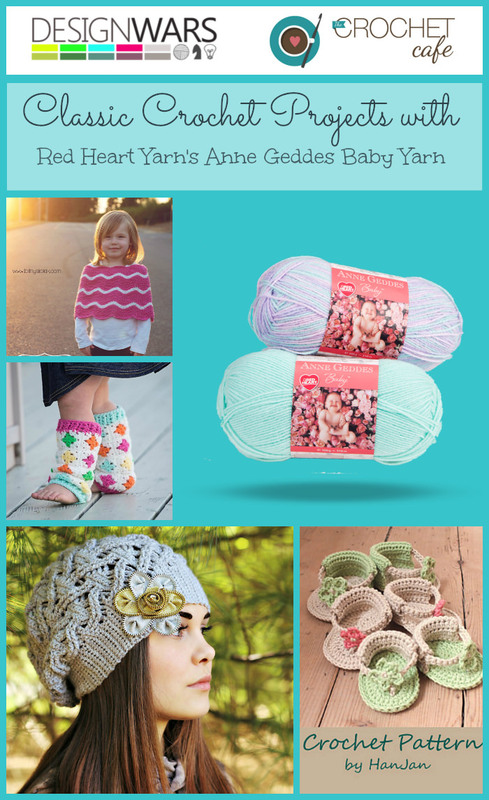 Our friends over at Design Wars have a challenge this week and one of the contestants used Red Heart Yarn’s Anne Geddes Baby Yarn so this week’s yarn post highlights that yarn and some awesome patterns that can be crocheted with that Anne Geddes Baby. It is a soft DK weight yarn that comes in a palette of modern baby colors. Don’t be fooled by the name though, it is a great yarn for use with light projects for all ages! Frayed Knot’s “Not Your Granny’s Leggings” use Anne Geddes in a clever way! Mini Granny Squares use lots of the bright colors and are light and soft. CrocheTrend amazes me with the Isabella Hat! The cables on this hat are incredible and since it uses DK yarn, they don’t end up too thick and bulky. Danyel Pink Designs beautiful Cora Capelet is a lovely, soft piece for layering on a cool day. 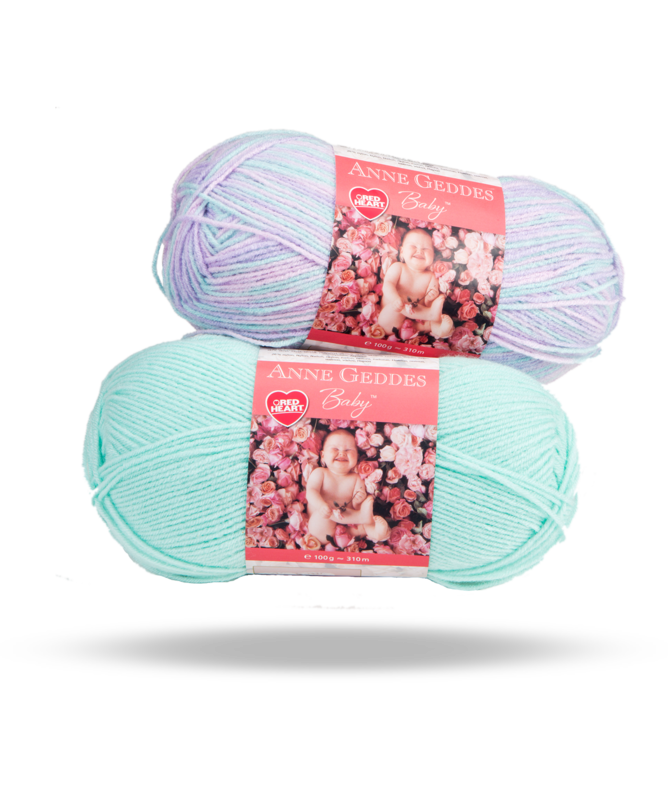 Pick up some Anne Geddes Baby Yarn this weekend and see what you can create!